Safety wearable technology company, Run Angel Ltd., has partnered with Angel Flight Northeast­, a non-profit organization that coordinates free air transportation for patients to access life-saving medical care. 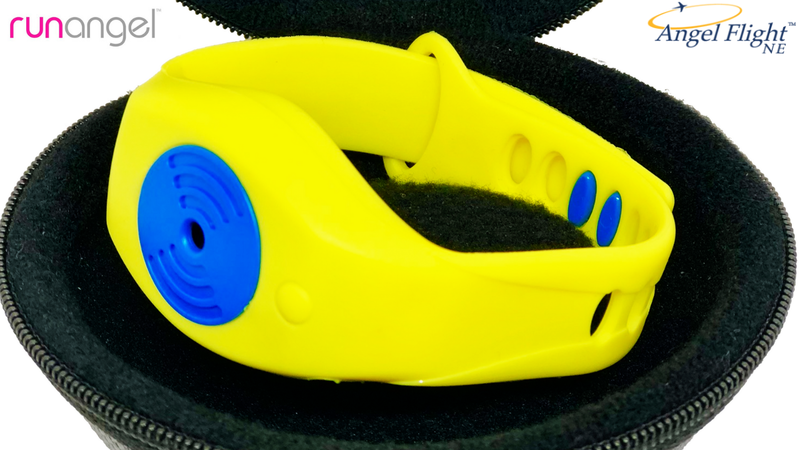 Run Angel is an innovative safety wrist wearable that emits a very loud siren from its patent-pending acoustic chamber design to attract attention in an emergency and connects with smartphone devices to send emergency alerts to loved ones by SMS and email, showing the date, time and location of the wearer. Angel Flight Northeast is a non-profit that coordinates free air transportation services for patients who need to travel outside of their area for specialized medical care. This is made possible with the volunteer corps of over 500 private pilots who combine their love of flying with the spirit of grassroots volunteerism by flying patients and their families to the critical healthcare they need along with the assistance of commercial aviation partners. Founded in 1996, AFNE has scheduled over 77,000 flight requests and have flown more than 15 million miles. 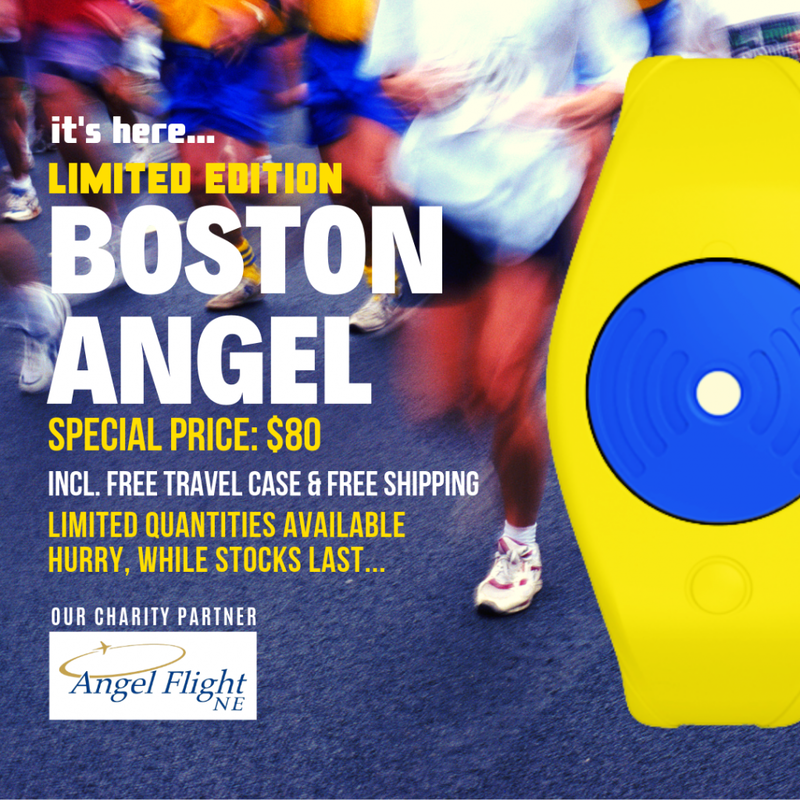 A blue and yellow limited edition ‘Boston Angel’ is now available from www.runangel.com for $80.